Director Jenny Cimbalnik talks with a child at the Wallingford Child Care Center in Seattle. A dire workforce crisis in a booming U.S. economy is forcing many in the child care industry to turn to business tactics more closely resembling Wall Street than Sesame Street. Non-compete and “hold-harmless” legal agreements, college tuition incentives for workers and steep waiting-list fees for parents are fast becoming the norm. 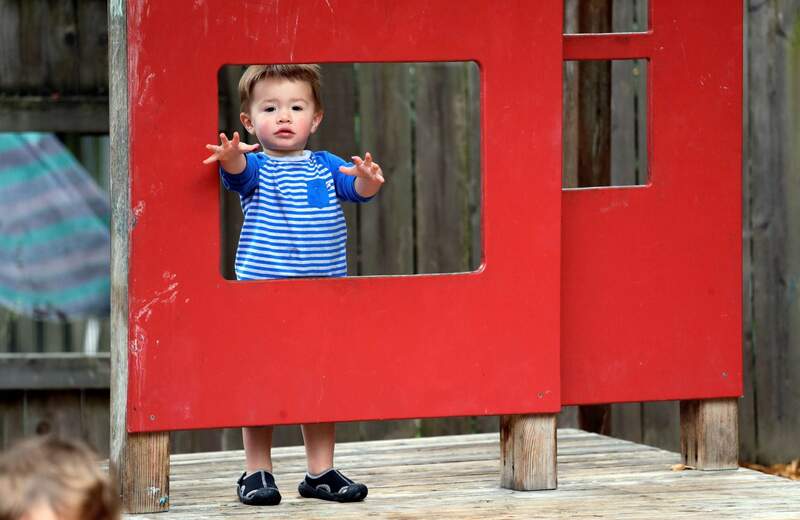 Vincent Seeborn, 2, reaches out from a structure on the playground at the Wallingford Child Care Center in Seattle. A dire workforce crisis in a booming U.S. economy is forcing many in the child care industry to turn to business tactics more closely resembling Wall Street than Sesame Street. Non-compete and “hold-harmless” legal agreements, college tuition incentives for workers and steep waiting-list fees for parents are fast becoming the norm. 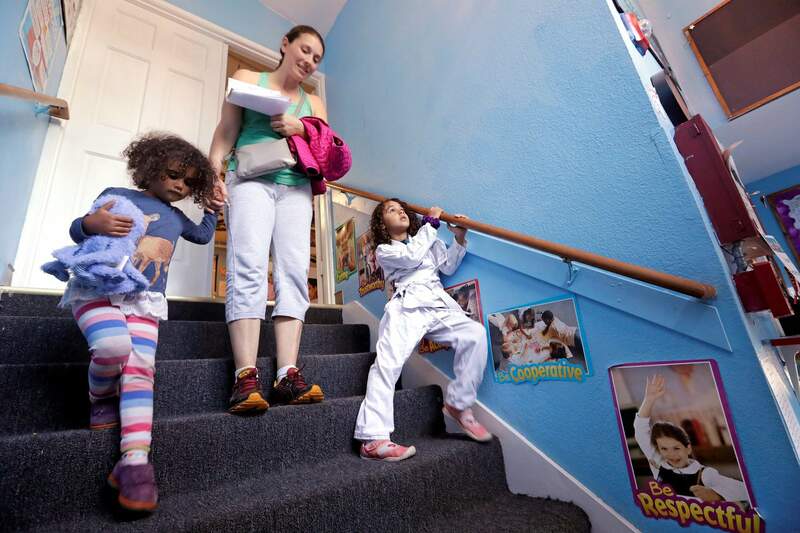 Rachel Lipsky walks with her daughters, Azra Maidadi, left, and Naima Maidadi, as they leave Azra’s preschool in Shoreline, Wash. Lipsky and her husband were already at a disadvantage when they started looking for child care while she was pregnant in 2012. The 38-year-old project manager discovered it wasn’t a problem they could solve with money, given they were in an already-expensive market that charges about $2,000 monthly per child. They eventually secured a spot for their girls, but the road to preschool was daunting, emotional, time-consuming and pricy. 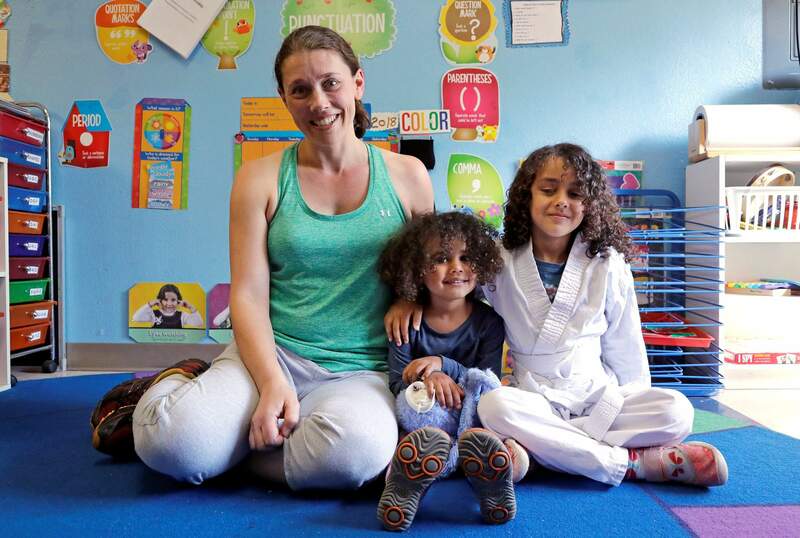 Rachel Lipsky, left, poses with her daughters Azra Maidadi, center, and Naima Maidadi at Azra’s preschool and where Naima previously attended in Shoreline, Wash. Lipsky and her husband were already at a disadvantage when they started looking for child care while she was pregnant in 2012. The 38-year-old project manager discovered it wasn’t a problem they could solve with money, given they were in an already-expensive market that charges about $2,000 monthly per child. They eventually secured a spot for their girls, but the road to preschool was daunting, emotional, time-consuming and pricy. 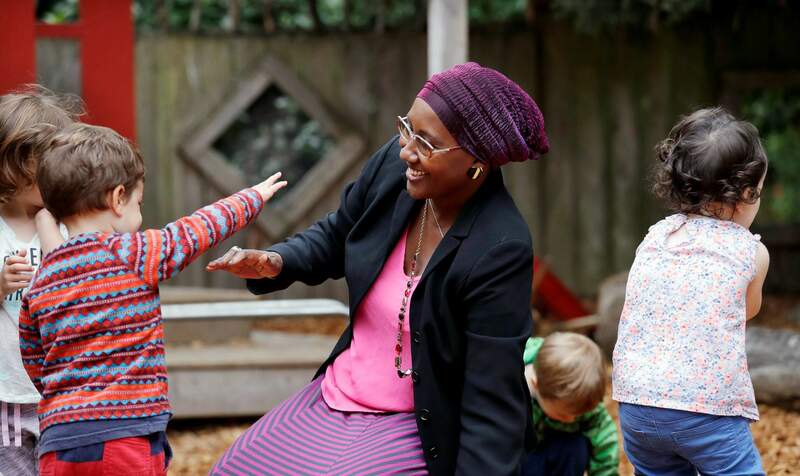 Teacher Fatuma Yusuf interacts with children on the playground at the Wallingford Child Care Center in Seattle. A dire workforce crisis in a booming U.S. economy is forcing many in the child care industry to turn to business tactics more closely resembling Wall Street than Sesame Street. Non-compete and “hold-harmless” legal agreements, college tuition incentives for workers and steep waiting-list fees for parents are fast becoming the norm. 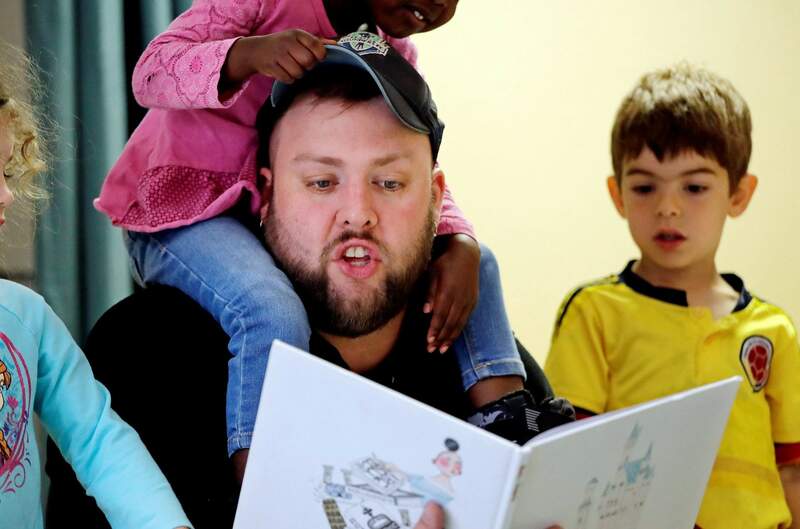 Teacher Joshua Gielgens reads to Arlo Morgenroth, right, and other children at the Wallingford Child Care Center in Seattle. A dire workforce crisis in a booming U.S. economy is forcing many in the child care industry to turn to business tactics more closely resembling Wall Street than Sesame Street. Non-compete and “hold-harmless” legal agreements, college tuition incentives for workers and steep waiting-list fees for parents are fast becoming the norm. 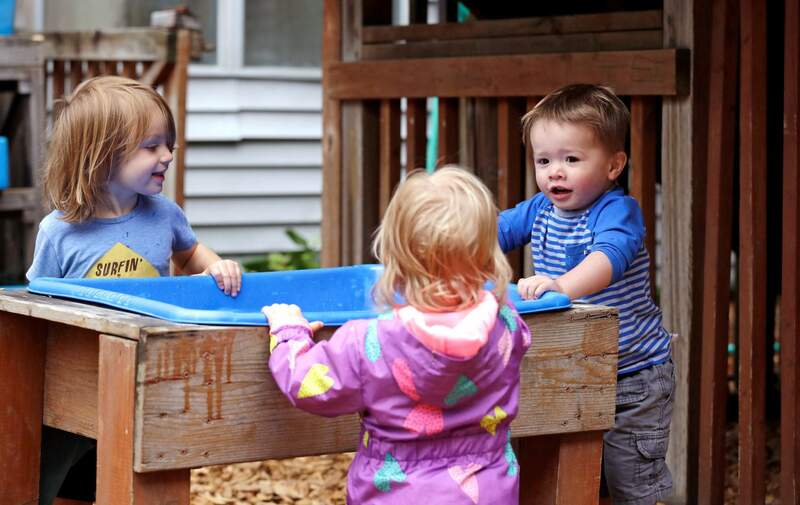 Astrid Kozlen, left, and Vincent Seeborn, right, talk with another toddler at a splash bin in the playground at the Wallingford Child Care Center in Seattle. 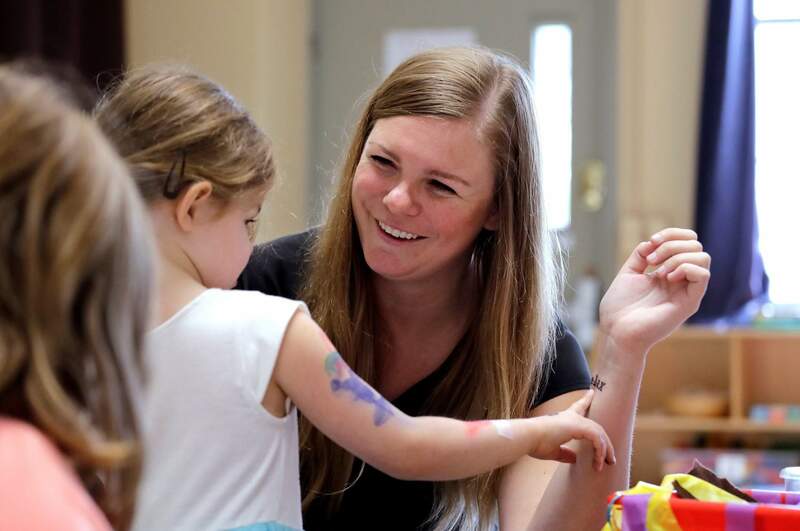 A dire workforce crisis in a booming U.S. economy is forcing many in the child care industry to turn to business tactics more closely resembling Wall Street than Sesame Street. Non-compete and “hold-harmless” legal agreements, college tuition incentives for workers and steep waiting-list fees for parents are fast becoming the norm.